The Washington State Department of Transportation is preparing to launch a preservation project to give longer life to a steel truss bridge on State Route 409 that was built in 1938. 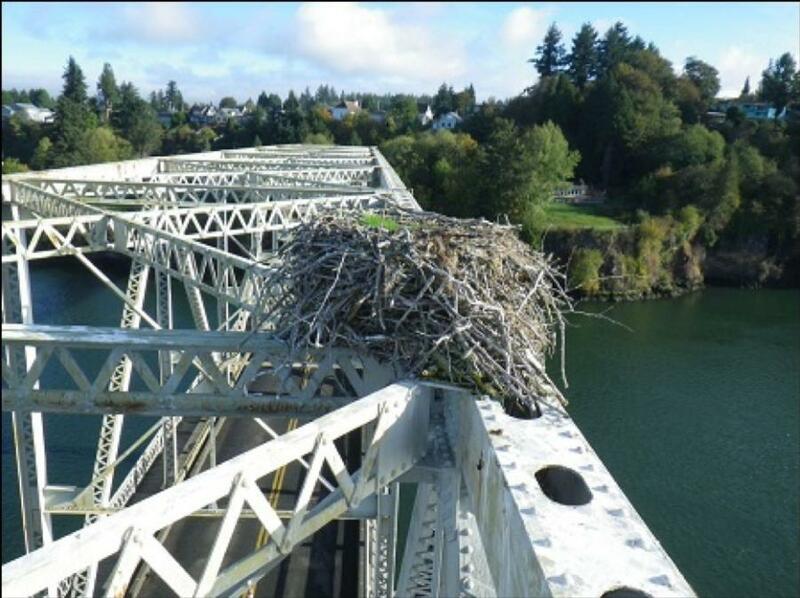 But first it had to remove a large osprey nest from atop that Puget Island Bridge. The Washington State Department of Transportation is preparing to launch a preservation project to give longer life to a steel truss bridge on State Route 409 that was built in 1938 and now suffers paint flaking and deterioration to the timber bridge deck beneath the roadway pavement. But first it had to remove a large osprey nest from atop that Puget Island Bridge, in an example that highlights the attention state DOTs must give to managing their projects along with wildlife needs. The agency said the paint and timber work is important, since paint flaking exposes the structure to weather and corrosion, while inspection photos of the timber underneath show pieces missing. Contractor crews are scheduled to install a new bridge deck and repaint the bridge, which connects Puget Island to Cathlamet in Wahkiakum County, in an $18.4 million project over the next three years. “Painting the bridge and replacing its deck will preserve the bridge's structural integrity, restoring this important transportation connection and prolonging the life of the bridge,” the department said. But it had to begin by — carefully — removing that nest.